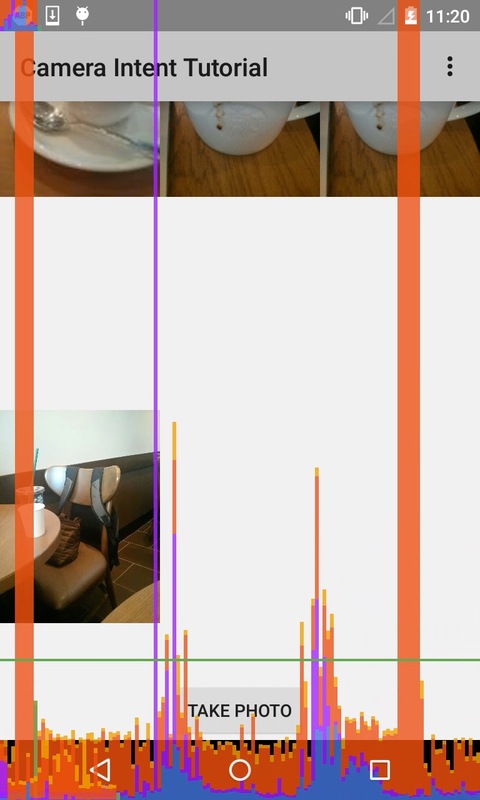 In this review we spend time profiling android fresco loader library using the traceview, memory monitor & GPU render profiling tools. 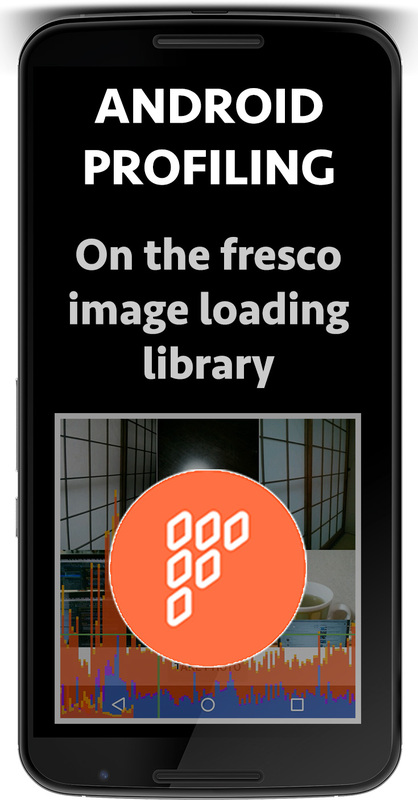 Running the android performance profiling tools on the fresco image loading library. Here we observe four background threads loading the image files with no noticeable pauses in the UI thread. It was noted that scrolling performance was good compared with the other image loading libraries. Running the android memory monitor profiling tool on the fresco image loading library. Starts at consuming in the region of 16 MB, then after scrolling reaches a max in the region of 153 MB. After triggering a garbage collection (GC) the memory consumed drops down to 46 MB. The max levels of memory consumption are significantly higher than the other image libraries, which would explain the good scrolling perfomance. 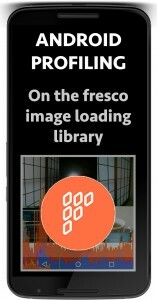 Running the android GPU rendering tool on the fresco image loading library. At certain times we are seeing significant delays in the rendering of frames in fact the GPU rendering tool has some frames and groups of frames off the scale.